Don't forget: Rockabilly Day 2012 in Belgium! 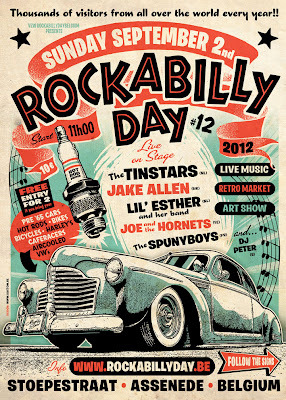 Rockabilly Day 2012 will take place on Sunday september 2nd, at the festivalterrain in Stoepestraat at Assenede. Everybody welcome! Call for more info. Iedereen is welkom! Bel voor meer info.